Getting on Board – you can download a digital copy of their guide to trustee recruitment – which includes the links to various other sources of information, recruitment platforms and templates. 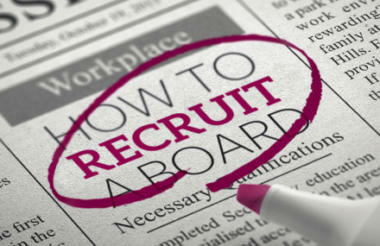 http://www.gettingonboard.org/ – see home page, click on “News – Get our trustee recruitment guidance” . If you click on the “charities” tab you can also access their recruitment service and useful documents section.